Detailed below provide the Uxbridge Pearson Professional Theory Test Centre contact address details, services offered and advice for booking and taking your theory test. Station telephone number: 0845 748 4950. Train station is approximately a 6 minute walk from Uxbridge Theory Test Centre. Take the High Street exit from Uxbridge Tube Station and turn right towards the Pavilions Shopping Centre. After approximately 50 metres, turn left down Windsor Street, just past the church. Arriving by car: If you are unable to find parking directly outside the theory test centre, a car park is located on Bakers Street, around 8 minutes walk to the centre. Keep going straight ahead crossing two busy roads and the Test Centre is the red brick building opposite the exhaust centre. Candidates should use the white glass door to the left of the main entrance.No parking facilities available. Booking a theory test can be made via the automated telephone line. You do not need to speak to anyone although there is an option to speak to a DVSA member of staff should you have any concerns or questions. Theory test bookings can be made in Uxbridge by visiting the book a driving theory test section. Booking a theory test via the internet is often the most popular due to the system displaying theory test time and date availability, allowing you to select a free slot. To book your theory test in Uxbridge, see the book a driving theory test section for all DVSA theory test booking information. To aid in avoiding any issues on your arrival to Uxbridge Theory Test Centre, bring along a printout of the confirmation e-mail you received from the DVSA. Please ensure you arrive at the test centre with your plastic photocard licence. The paper counterpart is no longer required. If you still retain the old style driving licence, this along with a suitable form of identification such as a valid passport must be taken. If you do not have a passport, you must apply for a new-style driving licence and take this with you. Unless such items are taken, Uxbridge Theory Test Centre will be unable to conduct the test and you will lose your theory test booking fee. If you have misplaced your licence, contact the DVLA who will send you a replacement. See the learning to drive section for information on obtaining a new licence. 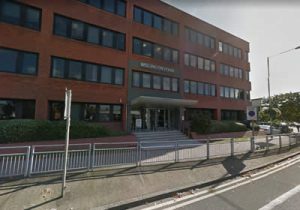 Late arrivals to Uxbridge Theory Test Centre who miss the allotted time slot will be unable to sit the theory test and will also lose the booking test fee. Reviews provide us with an insight into into a product or service. Write a short review of Uxbridge Theory Test Centre to let other know if the test centre was easy to find, if you went by car, were there parking facilities? Were the test centre staff polite and helpful and what were the centre facilities like? That’s just an example, but don’t forget to tell us if you passed. Reviews are quick and simple, no sign up and only your nickname will be displayed. To ensure your review meets our guidelines, please read our Terms and Conditions prior to submission.